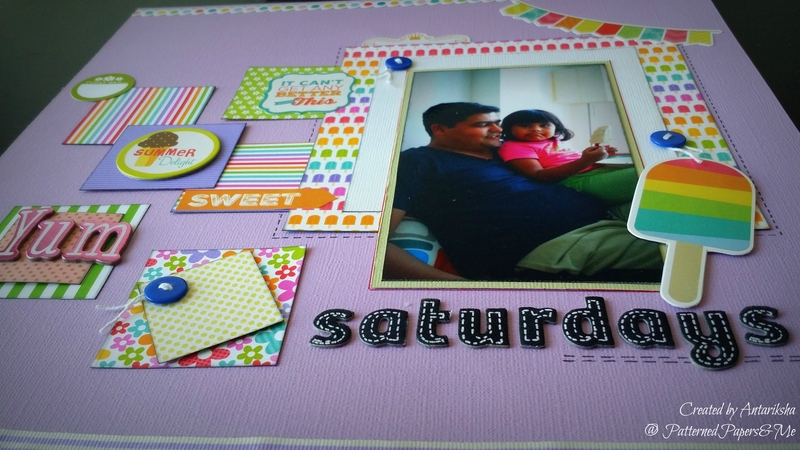 Hello everyone, today I am sharing few more 12X12 layouts which I did over the past few days. 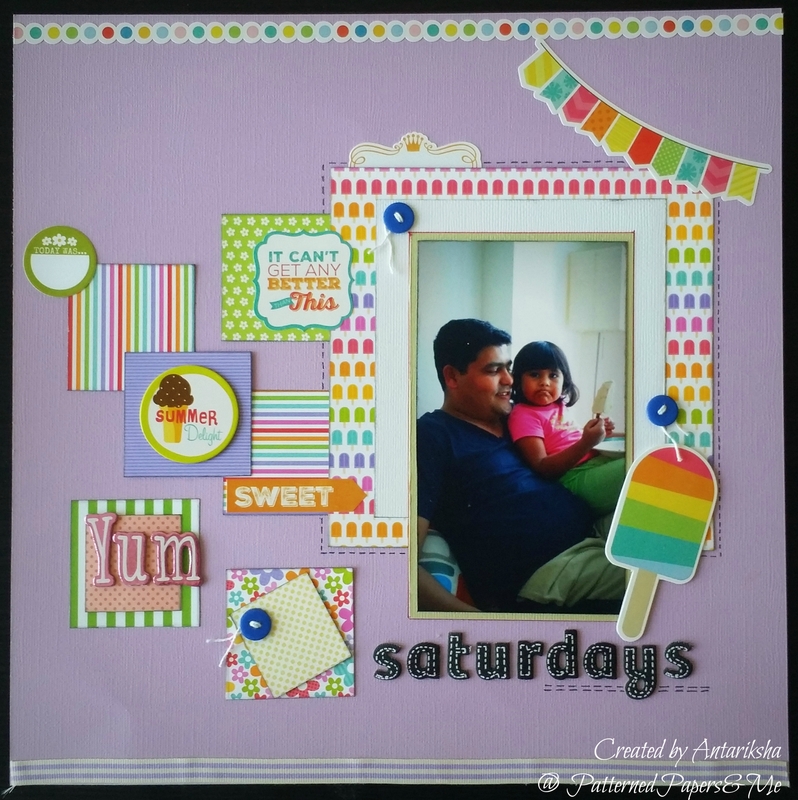 Saturdays are always fun as our little princess gets to enjoy her favourite ice-cream. I wanted to capture that mood in this layout, which is quite simple but vibrant. I have kept the use of embellishments to a minimum and just played around with the placement of patterned papers.